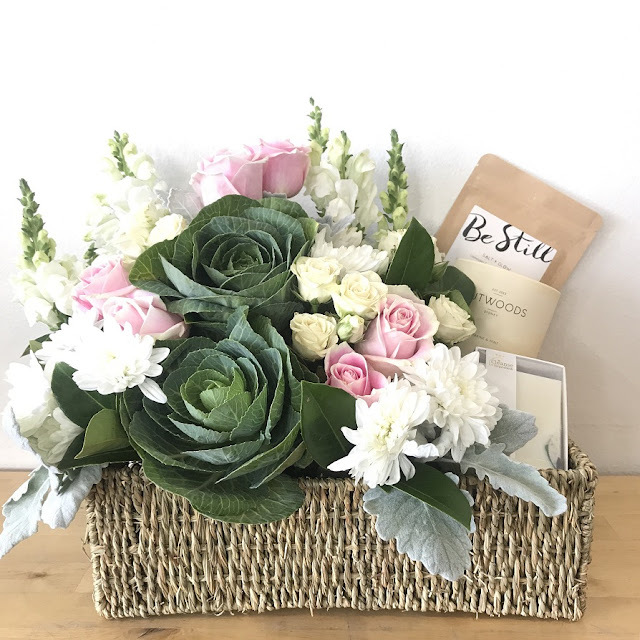 Mother's Day is just around the corner and if you would like to surprise your Mum, Aunt or Grandmother with something truly divine, check out these beautiful floral gift hampers by Urban Flower! 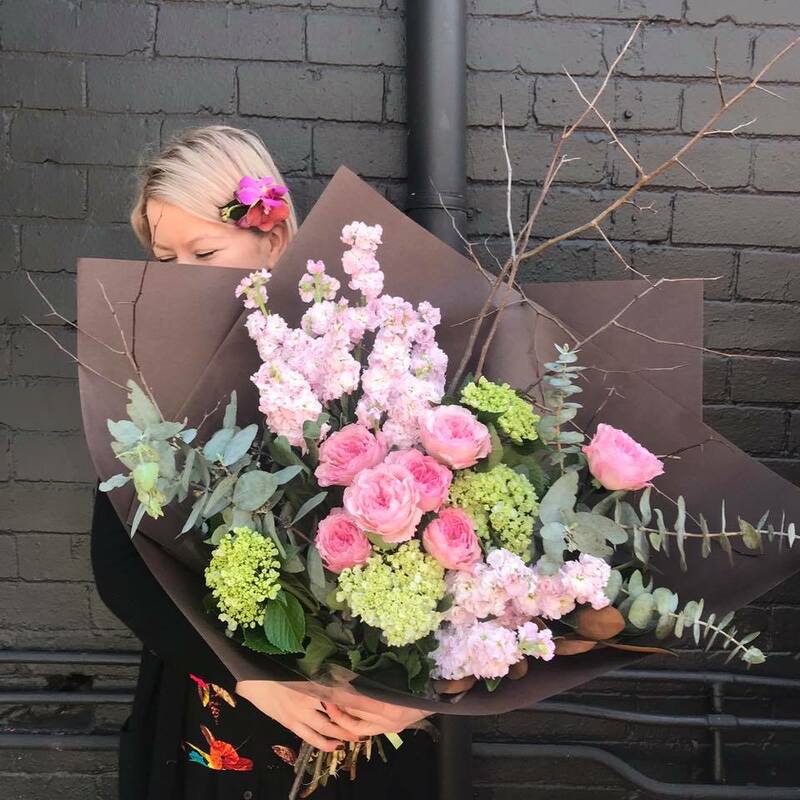 Blush: A dreamy offering of pastel blooms and Urban Flower's favourite swoon-worthy gift pieces. 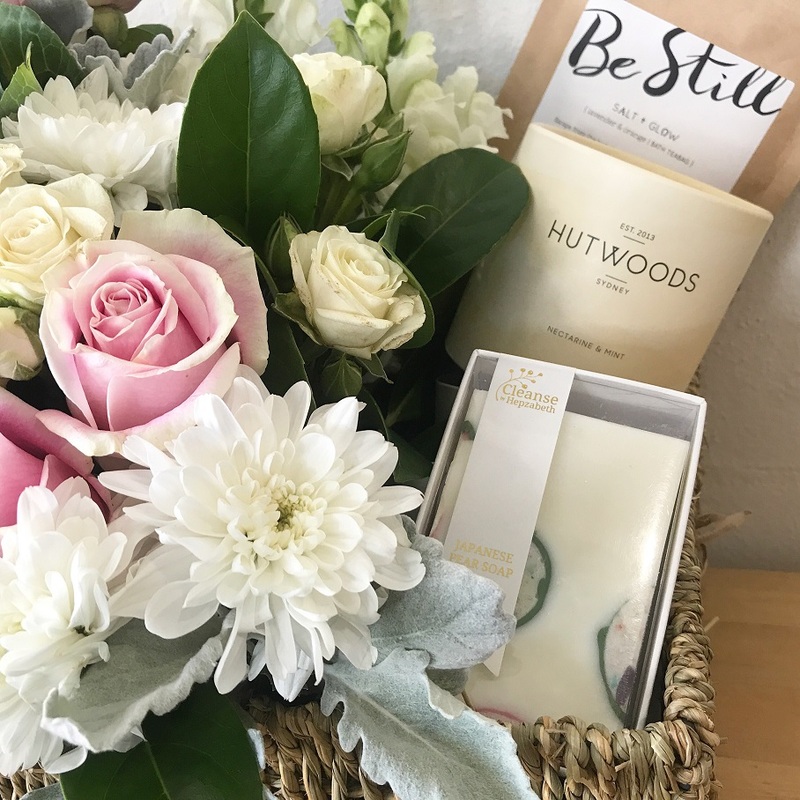 Every product in Blush supports local small businesses in Sydney and the nougat is made in Melbourne. 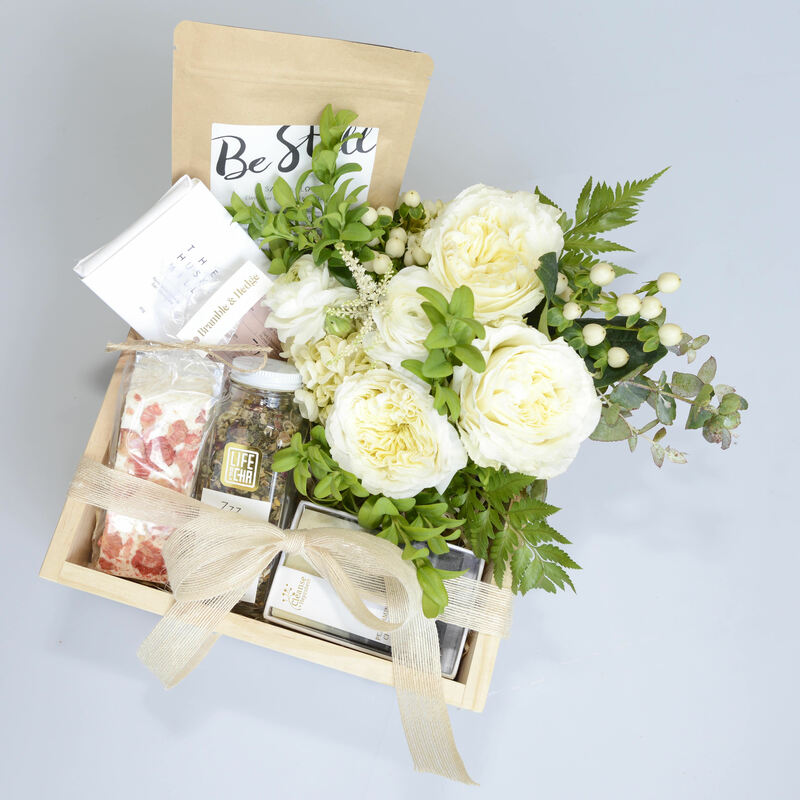 Nourish: a special gift box filled with delightful gems packed into one elegant keepsake box. 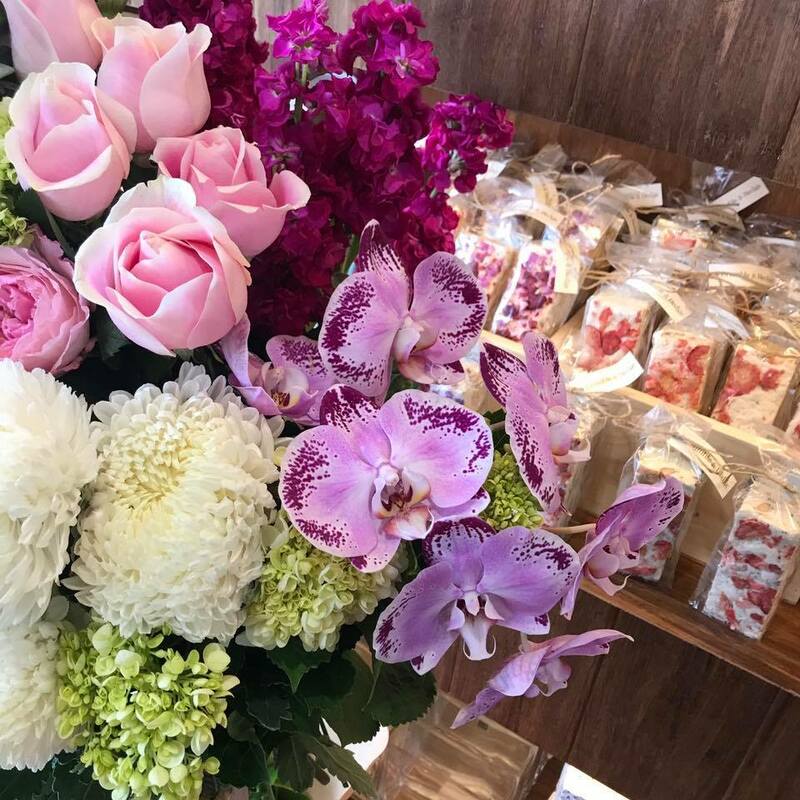 Sweet Lilac: A mix of charming florals, artisanal treats and more. 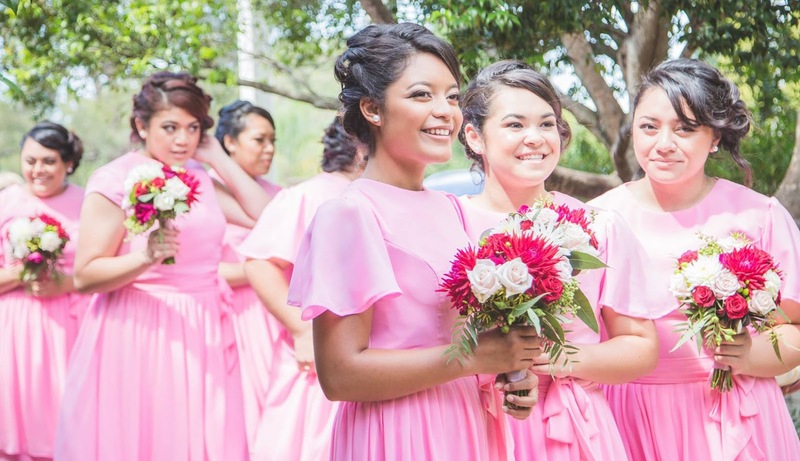 Being thoughtful has never been more beautiful! 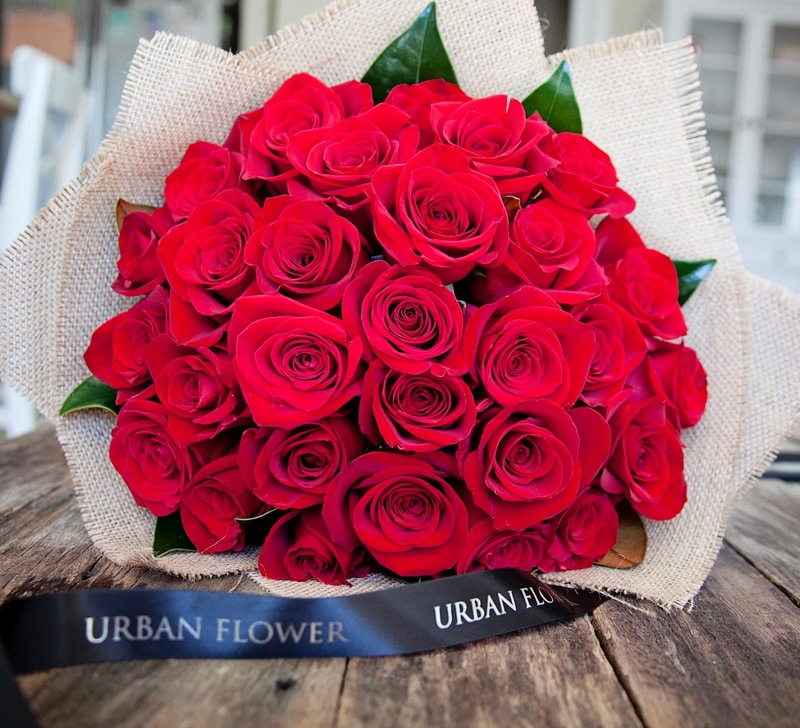 Urban Flower is offering Sydney-wide delivery for $9.95 over the Mother's Day weekend and in addition to the three hampers, there are lots of other amazing flowers and pamper gifts - check out the full range here. All hampers are presented in a Scandi style timber gift box topped with fresh flowers which come in a vase and a pretty ribbon - leaving an impression no gift card can match! The presentation also echoes the quality of the produce inside each box - all stunning products made here in Sydney. 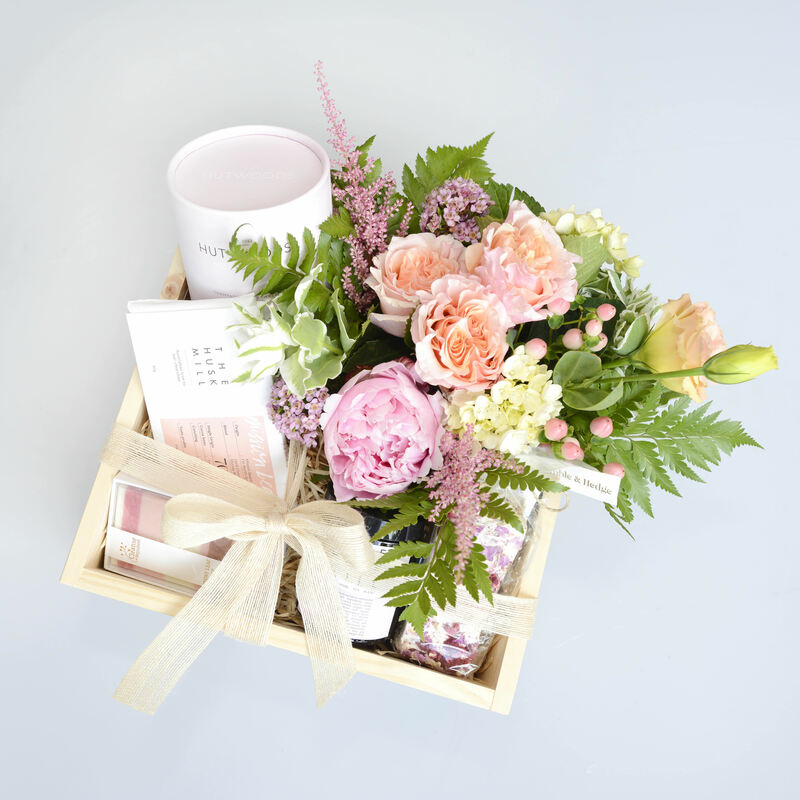 There no better gift this Mother's Day - treat your mum to a thoughtful, luxury giving, custom-made gift box of artisan finds by Urban Flower. Order by 1pm for Same Day Delivery to all Sydney suburbs generally bounded by Sydney CBD and Eastern Suburbs, including Penrith, Richmond and Windsor. Embrace the work-plant ethos for a healthier, happier workplace! Indoor plants are here to stay, there’s no doubt about that. They bring life and green inside, give a vibrant energetic feel to a previously sterile, boring environment, and even have health benefits. In office spaces we’re often disconnected from fresh air, sun and open green areas. Studies show that you can experience the calming effects of being outside in nature just by bringing something living and green inside to look at. It doesn’t have to be a whole vertical wall of living plants either, even a small potted plant on your desk can have positive benefits. Rajiv Agarwal, Chief Editor for leading Australian design blog Wall Art Prints attributes better work performance to having some foliage in the workplace: "There are a wide range of advantages to having plants in the office or workplace. Not only do they help purify the air by reducing carbon dioxide and transmuting it into oxygen but they are incredibly effective at reducing airborne dust levels and pollutants in the air. All these significant aspects of the humble plant leads towards better wellbeing of employees and therefore much higher productivity." 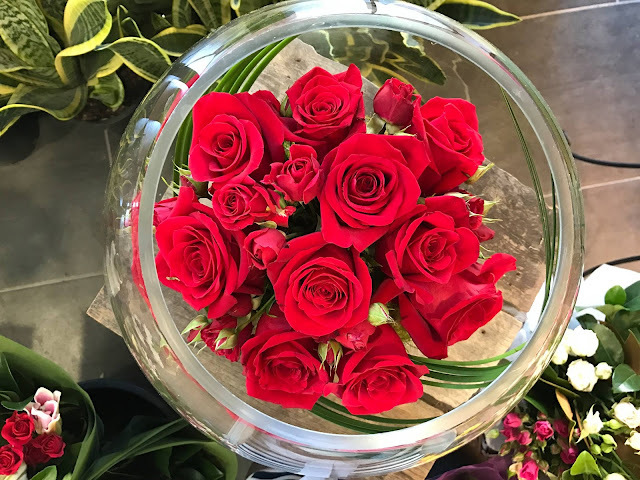 Aodham MacCathmhaoil from Waster can't get enough of them in his office: "We have lots of plants in our office as we believe it just makes people happier and creates a better work atmosphere." Director of Tonic Design Matt Riley concurs; "Researchers have also found that people in spaces with living vegetation are more likely to experience stress reduction, increased ability to re-focus attention, experience a reduction in sickness and absence rates, assist improved performance on cognitive tasks and productivity, and may help to increase creativity." Nicola Croughan, Stylist at Blinds Direct writes: "One of the best ways to make your office more eco-friendly is to use plants as decoration. Plants will filter the air, vastly improving the quality and reaping plenty of health benefits. Bringing in greenery will also make your workspace feel lighter, brighter and more welcoming. This in turn will boost creativity and productivity!" 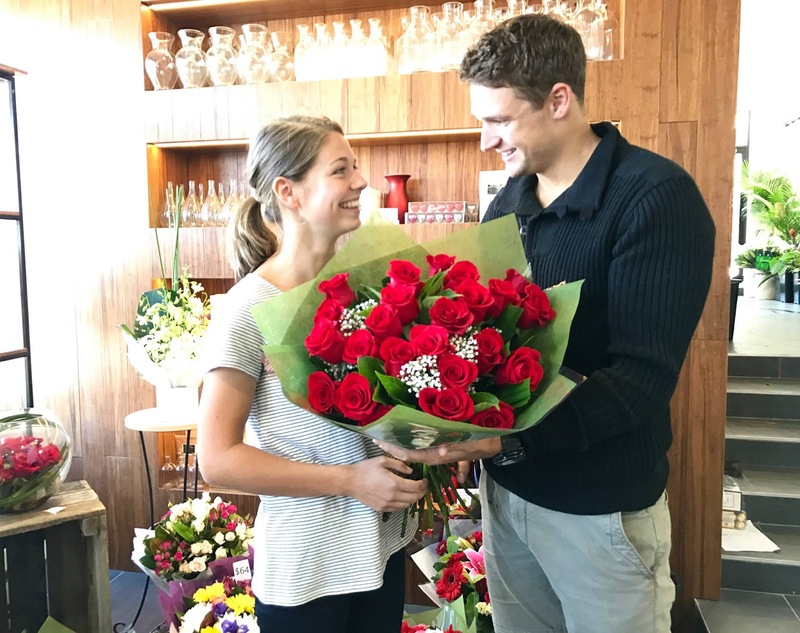 Environmental expert and owner of Econscious Living Una Phelan explains the science behind it all: "Plants are highly beneficial in a workplace. Not just for the psychological benefits of having something green to gaze on (even green paintings and photos have been shown to have a positive psychological benefit in the absence of a view) but to improve air quality. The indoor air environment can be up to 10 times more polluted than outdoor air. Offices are generally a concentrated source of Volatile Organic Compounds (VOCs) due to the materials and chemicals that office furniture, upholstery, particle board, carpets and paints are made from. They off-gas for many years after installation and especially in the initial few years. These VOCs can include highly toxic flame-retardants, benzene and formaldehyde a known carcinogen. The compounds can cause respiratory illnesses and irritations, headaches, dizziness and those who suffer from chemicals sensitivities can be particularly affected. However, studies have shown that plants can play a role in improving the air quality by filtering these compounds. A comprehensive study by NASA known as the NASA Clean Air Study examined which plants were effective at removing benzene, formaldehyde, trichloroethylene, xylene and ammonia from the air - common office pollutants. NASA recommended 18 different plants and at least one plant per 10 square metre." These are my five favourite indoor plants for corporate spaces. Some need a little more care and attention than others so take that into consideration. 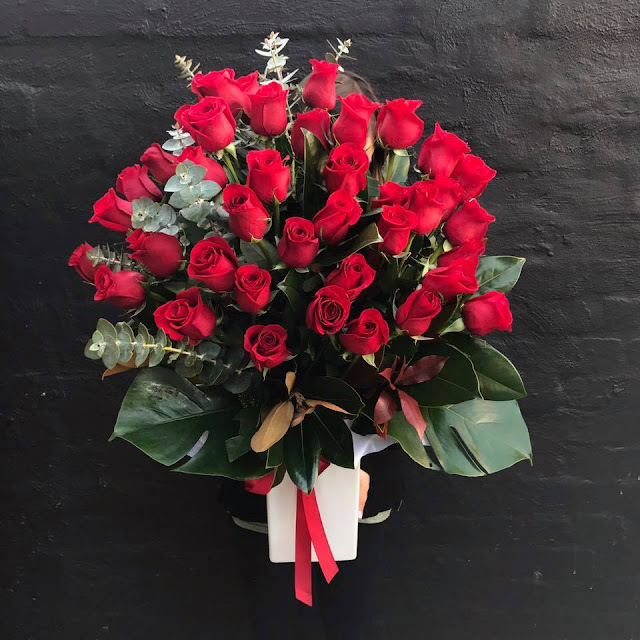 These plants are readily available in Sydney florists or your local plant nursery. 1) Indian Rubber Trees look fantastic in a corporate reception area. They have deep glossy leaves and great shape. Go for the ‘Bergundy’ variety for a dramatic look. They are forgiving if you forget to water them too. Just give the foliage a wipe with a damp cloth from time to time to keep the shine on the leaves. 2) Devil’s Ivy (Pothos) has made a stellar comeback. Devil’s Ivy needs space to hang down and grow as a vine, so a shelf or bookcase in an office is a perfect position. They’re tolerant of low-light so you can even put one in a darker corner. I’m a big fan of the ‘Marble Queen’ Pothos, variegated light green and white patterns cover the leaves as they grow and grow. In no time at all you’ll have beautiful green jungle-like vines hanging all through your office. 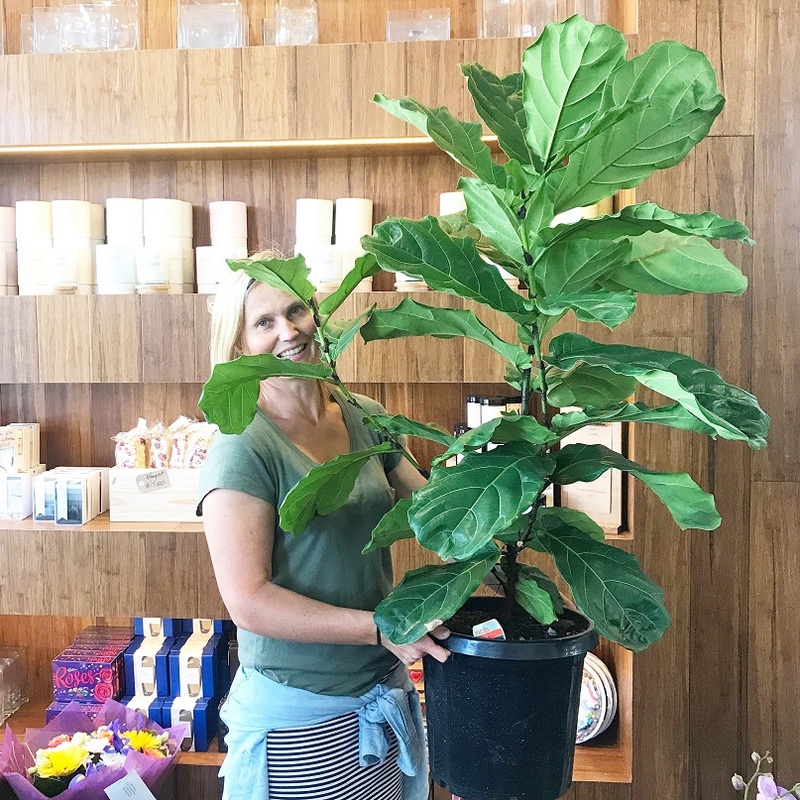 3) Fiddle Leaf Figs have become the star of glossy home and architecture magazines for good reason, but tend to be a little needy when it comes to plant-care. They have huge leaves which fan out and come in a variety of shapes. If well cared for you could practically end up with a Fiddle Leaf tree spawing all over your office! Now you can even purchase ‘Baby Fiddle Leaf figs’ too from any good supplier of plants of flowers online, perfect as a gift for a friend’s desk. 4) Zanzibars are a must to spruce up a boring office area! They have glossy green leaves that shoot up from a clump-like bulb at the base of the stem. 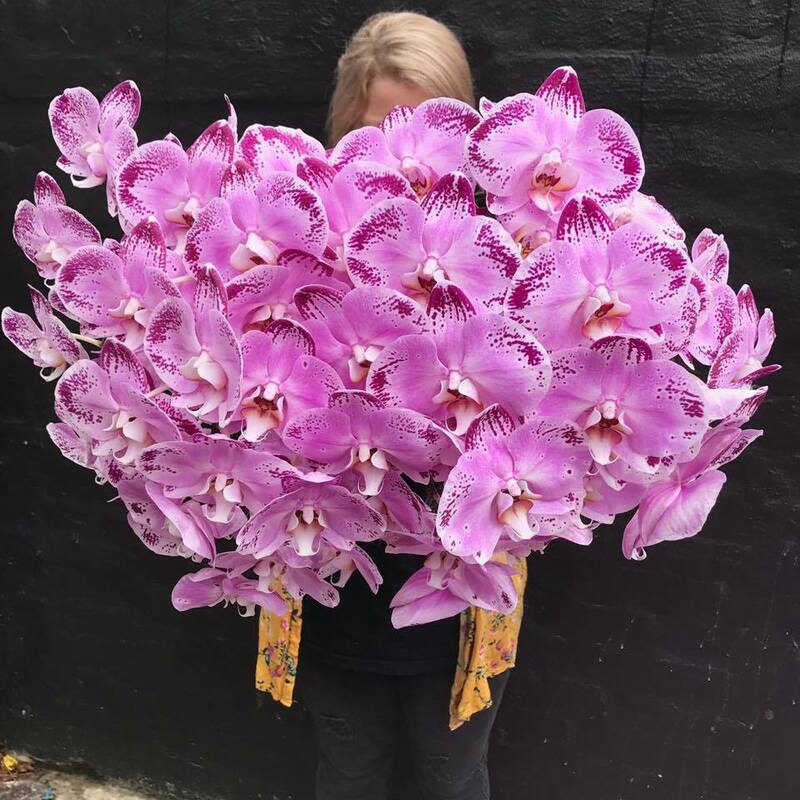 You could completely forget about your Zanzibar plant whie you holiday in Fiji for two months then return and it will still be perky and happy! Why? They store water in their base ready for long periods of drought. Perfect for you if you’ve labeled yourself a plant murderer before – now is the time to redeem yourself. 5) Cactus varieties are often overlooked when it comes to adding some plants to the workplace. But no other plant beats them for interesting textures and funky sculptural shapes. Better still, water them once every month (or even less is okay if the aircon isn’t too extreme in your office). 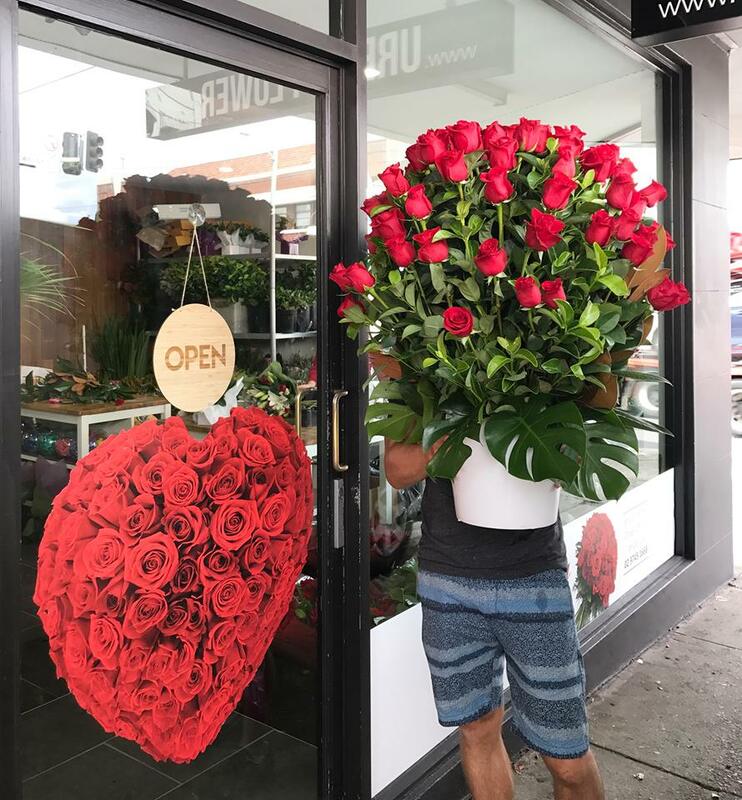 They are a more expensive purchase because they take eons to grow into a decent height, so invest in one you really like, pick a cool pot or black basket, and you won’t have any regrets. You might even find yourself collecting more cacti along the way for your office collection! When it comes to plants in the office, even a few grouped together can change the whole look and feel to a nurturing, nourishing environment. If you have to spend hours and hours at work indoors, then why not invite some living plant friends to share your space with you? 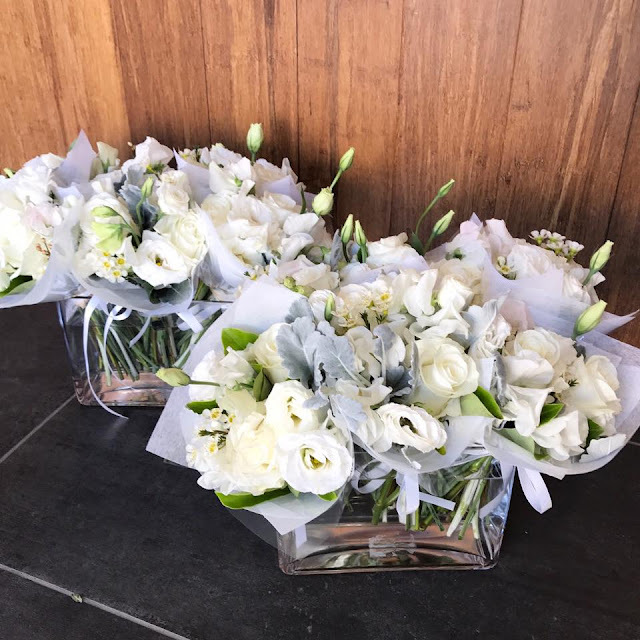 Finally sharing some more recent bridal flowers, like these chic bouquets we made for a wedding at Tetsuyas. 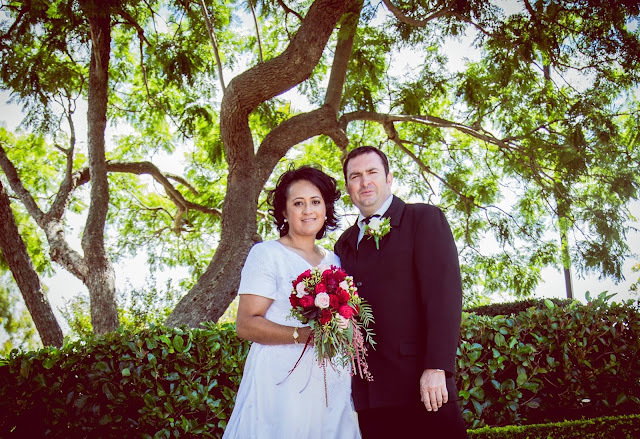 This bride sent us a photo of an elegant, deep maroon bouquet with a really feminine feel and we used it as inspiration for her wedding flowers. We knew that each table at the wedding reception would feature a single red vanda orchid in a small vase so decided to make vanda orchids a part of the bouquets too. 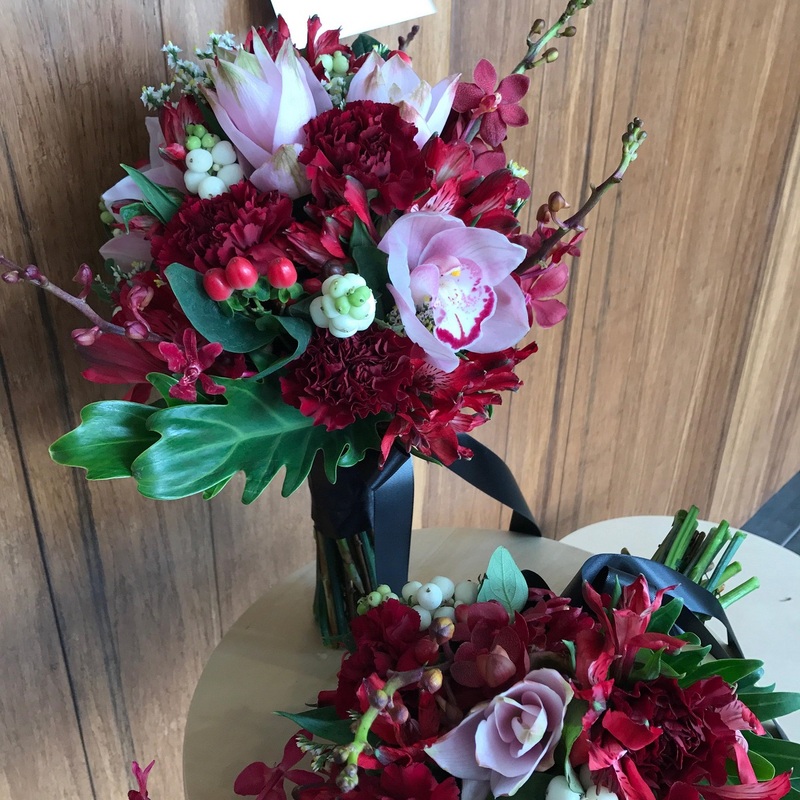 For some lightness we mixed in the cymbidium orchids, and just a few cream hypericum berries. 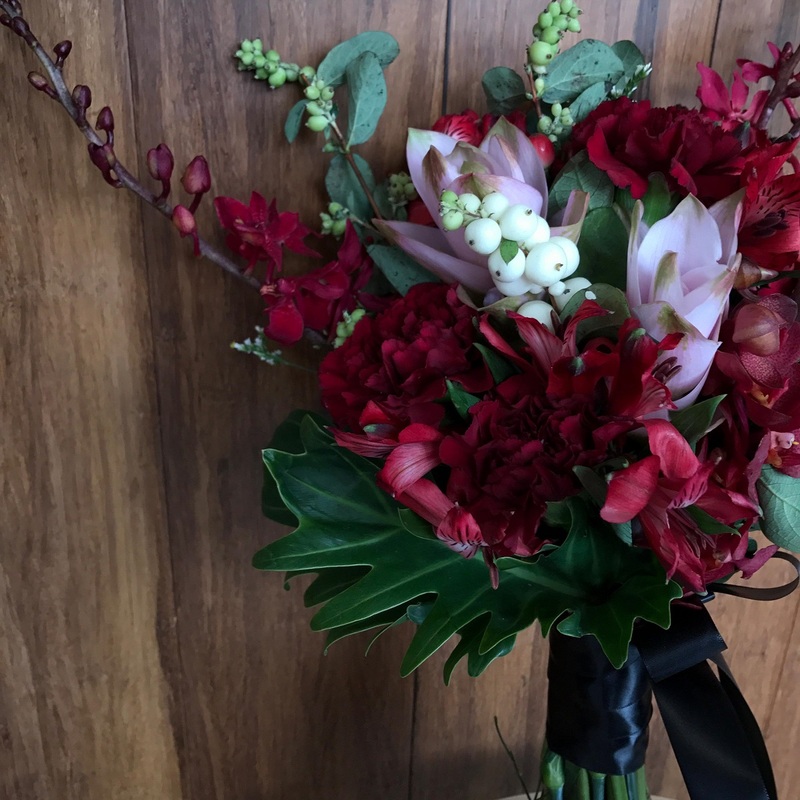 Siam tulips, carnations and alstromeria form the body of the bouquet, each with their own textures and glamour. 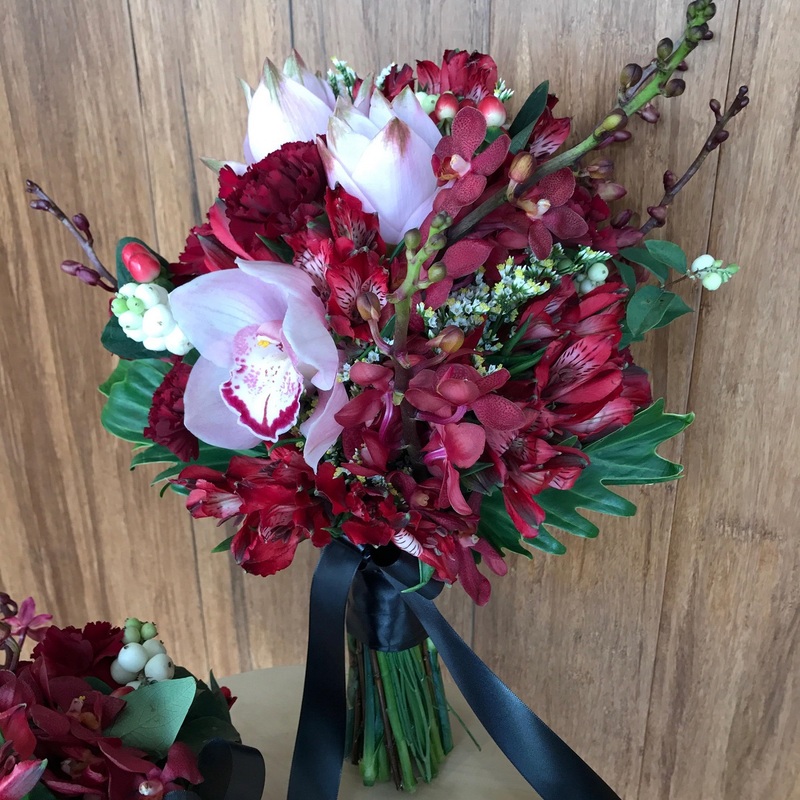 I love how the deep red and black satin ribbon adds drama and elegance. 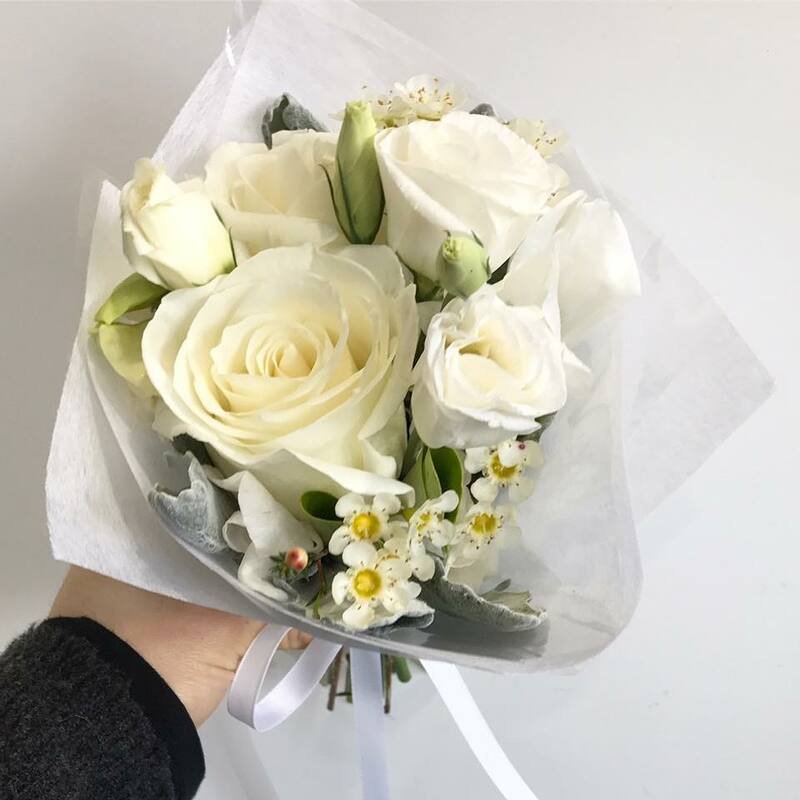 We're always happy to take Wedding flower bookings, and happy to chat if you're just starting to gather ideas for your own wedding, or definitely know what you want. 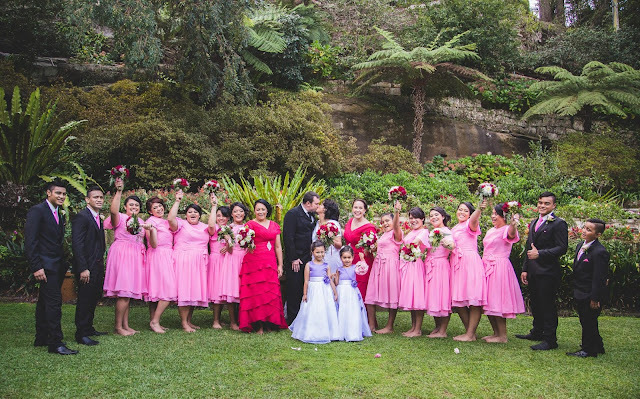 Just give us a call on (02) 9745 1668 anytime or send a quick email and we will be in touch. 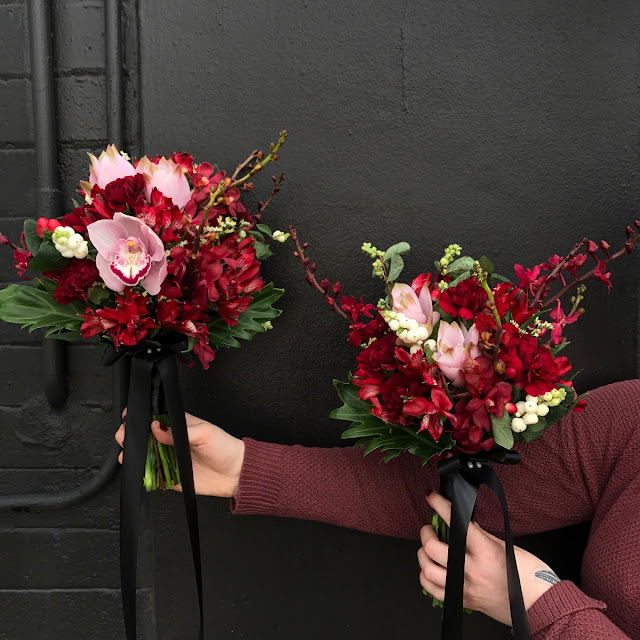 We've been leaning into really romantic tones and bouquets this month. Frilly roses, divine smelling David Austins, and popcorn hydrangea have made their debut again too. 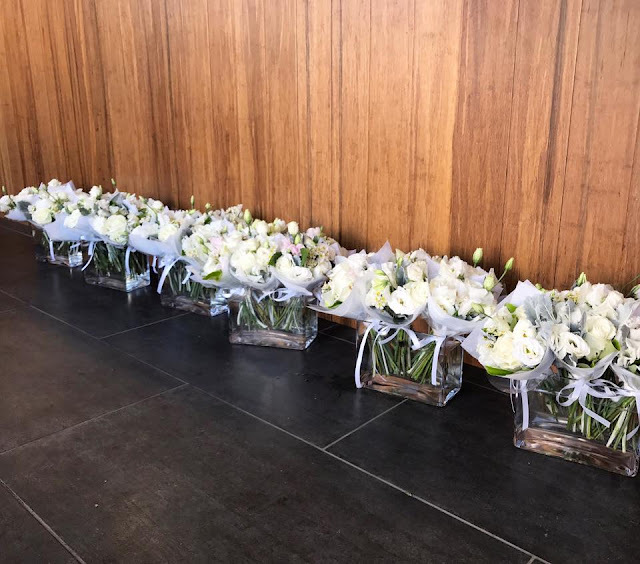 We bought armfuls of Phalaenopsis stems for race day fascinators and to add a little luxe to our bouquets. Everyone has been asking for corsages (like every second phone call!) and we're going a little corsage crazy! We're about to launch a new hamper range so we're gathering pretty pieces to fill them. Like Bramble and Hedge nougat which we have become very enamored with. I hope to show off the new hamper range very soon. What is it about red roses? For red roses, shop our romance range or talk to one of our friendly florists today, call us on (02) 9745 1668. 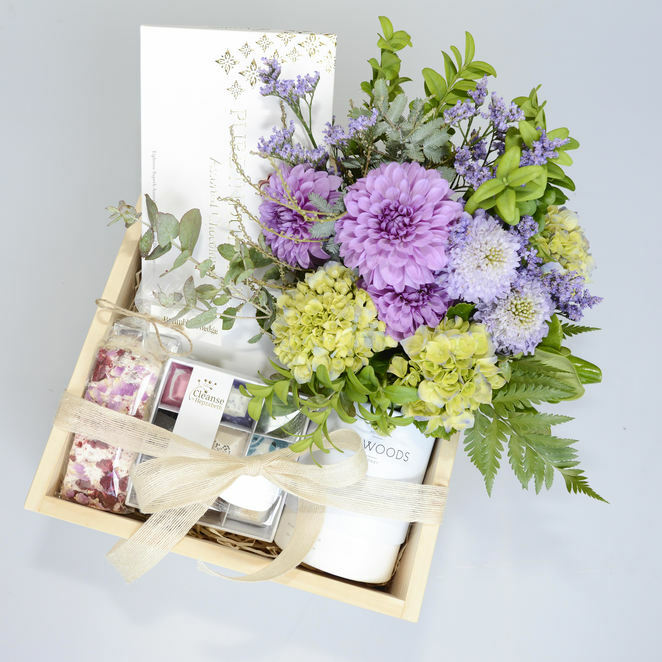 For Portobello PR in Paddington, something petite and pretty to accompany press-kits for Sebamed Australia.